This just in: Garmin International has selected the QNX CAR platform to power the Garmin K2, a next-generation infotainment solution for automakers. Most people are familiar with Garmin's many portable GPS devices, from sports watches to action cameras to PNDs. 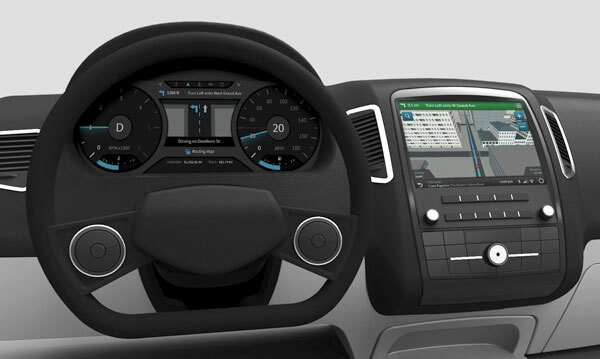 But the K2 is a different animal altogether — a complete “digital cockpit” that comprises multiple digital displays, on- and off-board voice recognition, smartphone integration, and optional embedded 4G connectivity. The K2 is designed to give drivers simple, intuitive access to navigation, vehicle diagnostics, streaming media, and realtime Web information. It's also designed with scalability in mind, so automakers can use it to address diverse market requirements and cost targets. Other key features of the K2 include a 3D-enhanced city model, a predictive services calendar, and remote personalization and control via a web portal or smartphone. For more information on this announcement, read the press release. And for more on the K2 itself, visit the Garmin blog.